NBA basketball player Matt Bonner is coming home and bringing Girl Talk as the headliner of his annual charity Alt Star Party with him. The event takes place Friday (February 12) at Lee's Palace in Toronto as part of the NBA All Star Weekend, being hosted outside the U.S. for the first time. "I wanted to make this one extra special," Bonner tells Exclaim! "We have a lot of connections [in Toronto], and spend a lot of time here in the summer." Having married a woman from Toronto, Bonner still spends summers here, and so when the NBA announced that the city would be hosting its annual All-Star Weekend events, Bonner was primed to make a triumphant return. "This is a big deal to us," Bonner enthuses on a November morning before the Spurs made their one trip to the city this year. "We were really fortunate to get Girl Talk to come and play, and it's going to be crazy in such a small venue." 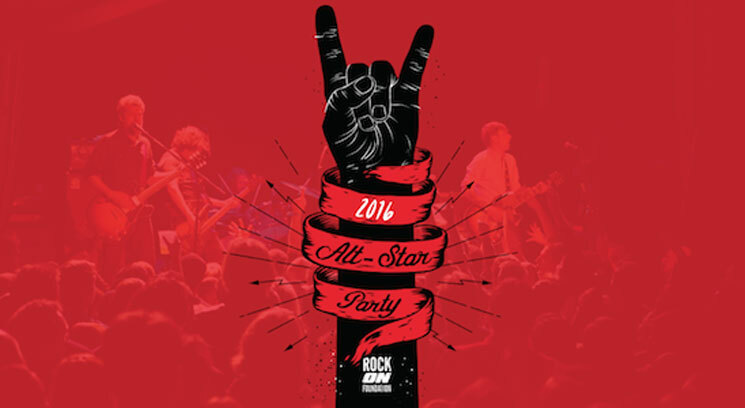 Proceeds for Bonner's Alt Star Party will benefit the Rock On Foundation, an organization he founded with his brother Luke (who also played briefly in the NBA). "After my third year in the NBA, I wanted to start a charity event. We started throwing concerts back in our hometown of Concord, NH; the first one was with Okkervil River back in 2007. We called it Sneakers and Speakers; we've kept doing it every summer." From that inspiration sprung the Rock On Foundation. "We've expanded our operation and done a bunch of other events — one of them is the Alt Star Party." Given that many NBA-related music events are oriented to hip-hop and R&B, Bonner wanted to represent his more alternative tastes, and has hosted parties that featured the Walkmen and the Hold Steady. Some have taken place at San Antonio Spurs games, where a concert will start outside the arena right after a game ends. "The last two years, we've gone an old-school hip-hop route [at Spurs games] — Mobb Deep two years ago and Arrested Development last year." The unusual context means that some fans get a much more intimate experience than they might otherwise. "We did [a post-game show] with the Hold Steady, and everyone leaving the Spurs game would stand in the courtyard and watch a few songs. There were thousands of people there, but for the last 15 minutes of the set, the crowd had dispersed because it was mostly people there for the game. At the end it was only Hold Steady fans, so there were probably 20 people right in front of the stage, singing every word, and they were coming up to us after and thanking us." All Star Weekend is all part of the basketball renaissance sweeping the city, one that's transformed the sports landscape since before Bonner was dubbed the "Red Mamba" by Kobe Bryant. "To me, being on the Raptors was kind of a paradox," Bonner remembers of his time with the team a decade ago. "Being with other guys on the team, everyone knew that Toronto was an awesome city, but it didn't seem like anyone was super-hyped to come play here, which didn't make sense to me. "Now, having made the playoffs the last couple of years, people are more and more excited for basketball in Toronto. I think Drake being the ambassador — this being his team — makes it way cooler, especially the younger guys. I'm 35, I still like Drake, but he's way up there for the younger guys. Anyone under the age of 26 in the league has a Toronto game circled on the calendar because of him."